Often in life, the time when the pressure is the most high, the difficulties seem the most unbearable, and you feel like giving up, is usually the time when you’re the closest to your victory and release. 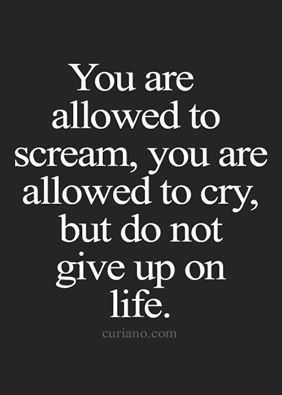 And it is at this point you must decide to not give up and not give in. This is the time when you should not be discouraged, but keep on going and press on and press on out until the end. Don’t give up, it’s just a test of faith, and keep on reaching out for God, because you’re almost there. God will give you a smile for every tear, a day of sunshine for every rainy day, and a rainbow for all of your sorrows. Don’t give up, it’s a Test of Faith. Choose Life.